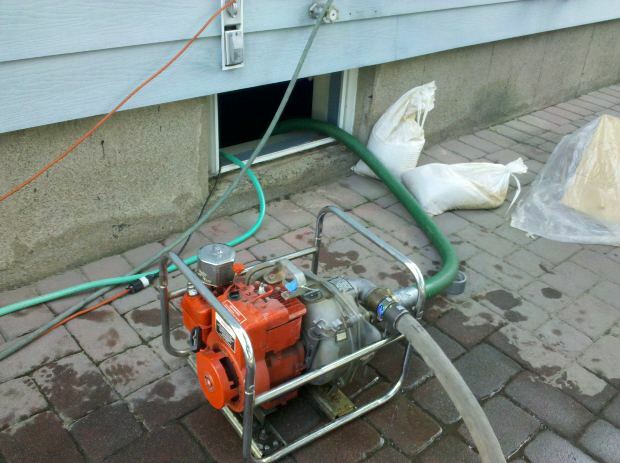 Top water damage Long Island company, 24/7, certified, affordable. Let’s talk about our feelings. All too often we try to “man up” and suppress our feelings, but 9 out of 10 times they are good. When you see a fluffy little kitten it is normal to run squealing towards it and cuddle it to your bosom while your heart emits power-rays of undying love. But what about rage? When your favorite team’s punter misses a 20 yard field goal, or your favorite pitcher gives up 10 runs, it is okay to feel the burning embers of violent anger and bitter angst. So what then of pipe bursts? When water spews into your living room you might get so enraged that you can’t see straight. But this is one of those rare occasions when you would be over-reacting, as professional water damage specialists can always take on the more complex household flooding disasters and correct the problem and restore the home to its previous condition to such high standards that nobody would be none the wiser that a flood even happened to begin with. The word “pipe” is synonymous with things that tend to draw on negative feelings. For example, “smoking pipe”, “plumbing pipe” and “crack pipe” all perform a variety of functions on the psyche, but all have rather negative auras. A smoking pipe can cause lung cancer, plumbing pipes make us think of pipe bursts or clogs, and crack pipes make us think of crack. Before you can de-stress over a plumbing disaster, we need to wipe away the negative connotations of the word “pipe”. Do this: sit in the lotus position on the floor and clear your mind. Once your thoughts are empty, say to yourself “pipes are my friends, my friends are pipes”. Say this as many times as it takes until you sincerely believe it. Remember, your plumbing system keeps your house healthy. If pipes act up like little rebellious rapscallions, it is because you as a homeowner failed to perform routine maintenance on them, and you can’t point the finger of blame at anyone other than yourself. Once you have realized this, you can begin to slowly de-stress. Having your pipes inspected is an important first step. A certified plumbing expert will check for ill-fitted parts, bulging, cracks and leaks. He will also pay attention to what materials were used in your plumbing. If your home was built in the early 1900s you might have cast iron or clay pipes—materials that have a 75 to 100 year life span and will likely be on the verge of failure. Make sure only plumbing-safe toilet paper is flushed down the toilet. Never flush moist wipes, paper towels, tampons, sanitary napkins, diapers, condoms or oils. These items can cause blockage. You should also pick up a water tester at your local hardware store and determine if hard water is present. If you notice dried white water spots on your showerhead, you likely have hard water. Hard water can cause mineral deposits to build up and cause pipe blockages, so by adding a water softener once every 6 months you can help keep your pipes healthy and safe. Finally, winter pipe freezes can cause devastating pipe bursts. Make sure the areas are well insulated where your pipes run; otherwise cold air exchange can freeze your pipes in no time and cause a disastrous flood. When it comes to words of wisdom on anger and pipes, let us turn to Mark Twain who is famous for saying, “Anger is an acid that can do more harm to the vessel in which it is stored than to anything on which it is poured”. In other words, don’t give in to anger when you experience a pipe burst or else you could wind up keeling over from a heart attack. Let your anger go and learn from your mistakes. Have your plumbing inspected by a pro, learn to step back and breath, and call a water damage restoration specialist before the problem gets worse.